I’ve just emerged from a self-imposed push to finish a new project on top of my novel revision on top of a big freelance deadline and I was here pushing myself so hard that, last night, I went to bed complaining my “bones hurt.” But I did it. I reached the freelance deadline, I finished the writing project (this stage of it anyway), and now I’m back into my revision. Oh but first I need to answer like two dozen emails. While I was so preoccupied, stuff happened—in addition to the two dozen emails. I stupidly lost my iPod. I thought it was gone forever, but a kind person found it in an elevator—how I lost the iPod in an elevator is beyond me; I really must be distracted—and, since I didn’t have my name on it or on the case, this person looked up a way to hack into it to get my email address off my Pandora account and emailed me asking if I’d lost it and now I have it back. Can you believe someone would go through the trouble to do that? People in New York City can be kind, I’m telling you. Speaking of, I once lost a checkbook—during a windy day it flew out our high floor window onto 100th Street and Broadway when I first lived here when I was 19. And someone found that checkbook in the street and tracked me down and returned it. Maybe I should stay away from open windows and elevators until I’m at least done revising my novel, huh? I’m featured in an upcoming book of Hudson Valley writers. Now don’t be confused. Yes, I live in New York City and I have for pretty much all my adult life, but I’m not from here—and no matter how many years I walk these streets I will always be aware of that. 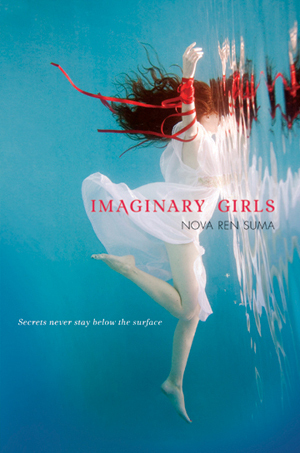 I’m from the Hudson Valley, moving from towns including Saugerties, Kerhonkson, Woodstock, and West Hurley, and pretty much all my writing is set there, like Dani Noir and the upcoming Imaginary Girls. And now I’m one of the writers featured in a book of photographs and interviews called River of Words: Portraits of Hudson Valley Writers, which will be out from SUNY Press this August. I’m in some amazing company, including Chinua Achebe, Nick Flynn, Ann M. Martin, Susan Orlean, John Sayles, and many more. It looks like it will be a beautiful book. I read an incredible book. I’ve been very, very busy. And it was one day this weekend, at my busiest, that I picked up a novel just to read the opening chapter, with full plans to come back to it later after I’d completed my projects and put away the laundry and had more time. Well, hours later, I was deep into the book and could not for the life of me put it down. I finished it that same night and it really opened my eyes to what a “dystopian” story can be—and what could become of our world, easily, not too far ahead in the future. I don’t write book reviews. I only know what touches me personally, what resonates, and what I like. 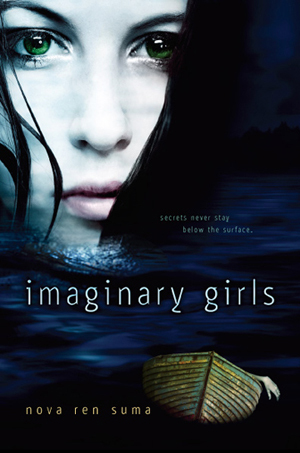 This book was the YA novel Restoring Harmony by Joëlle Anthony. 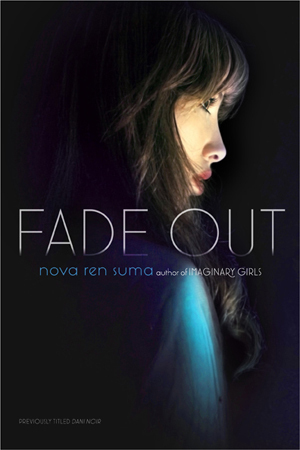 (Full disclosure: We share the same agent, but I would have loved the book regardless.) Go read it for yourself. I admit how I quit my job. I haven’t announced this openly on this blog, but if you’ve been reading my posts for a while, you may have noticed that I’ve stopped complaining and stressing about my day job. It’s not that I’ve become a more relaxed and accepting person and found a way to exist without need of sleep. It’s that I left the job and started writing full-time. Plus freelancing. I’m reluctant to step away from publishing work entirely, so I still continue to freelance for a couple different publishers as a copy editor and proofreader and it’s keeping me pretty busy. This may be temporary. I may not make it and panic and send out my résumé for a new day job in the fall. Maybe I’ll learn to be a barista. But until that day, while my time is more flexible, I’m working as hard as I humanly can to start a real career as a writer. I’ve wanted to do this for ten years and I never before had this chance. I’ve written on the side through a series of four full-time day jobs and now here I am without one. So that’s why I’m pushing myself. That’s why I have to avoid distractions if I can. That’s why I’ve taken the time to work on the new book project on top of the book I’m already revising. That’s why I will work until my bones hurt every day because no way am I looking back on this time and saying I didn’t try my hardest. It’s all about trying for me. Only I know how hard I’m working, you know? I can fake it to other people, but not to myself. If I slack off, someone remind me to come back and read this post for a kick in the pants. Next Article Arrogance vs. Insecurity vs. How About a Smidge of Confidence? I love the trailer! Those kids did a fabulous job. I had noticed that you hadn’t mentioned work of late and I’m really thrilled that you are writing full-time. Hooray for you! Thanks, Charlotte. I’ve been shy about making a big deal of it, but yes, I made the leap. I don’t know how long it will last, but the leaping was wonderful and the writing I’ve had time to do since then has been so worth all the sacrifice. I didn’t know if anyone would notice the lack of dayjob whining here! Oh, that trailer is amazing! I love the voice-over! Perfect. They did such an amazing job, voice-over and all! I’m THRILLED by it! Yay Nova!! Sounds like you’re doing well, bb. And I LOVE your book trailer!! Can you believe they made such an awesome trailer for the book!? Wow! LOL! Best part!! Great trailer! I wonder if I could find those tights at the store…. It’s amazing! I love how they found—maybe made? ?—the perfect tights and had that pic come up to show junk for your lawn. It’s perfect! I LOVE that trailer. It is like IN SEARCH OF…. has returned. I love the foreboding music! The whole thing is amazing. I hope they got a great grade in class! Totally agree! I’m so impressed! 1. Love that the iPod was returned to you. New Yorkers ARE nicer than people give us credit for being! When I was hit by that bike messenger (!) a lovely man peeled me off of the street and sat with me in a cafe until my husband arrived to walk me home. He would not leave no matter how many times I told him I was fine! 2. Love the trailer and LOVE that the kids made it all on their own, because they CHOSE YOU and they wanted to! Thanks for thinking I’m a hard worker. You haven’t seen me lie out like a lump watching reality shows (or maybe you’d like to join me??). New Yorkers really are kinder than people expect. I remember when that bike messenger hit you… I’m so glad that nice man stayed to make sure you were okay! And the book trailer they made really made my whole day… my whole week! Nova, that photo of your sister is stunning! Love it. And the trailer for your book is absolutely adorable. I get the feeling the kids had a great time making it. 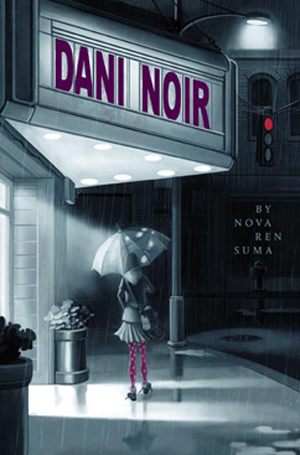 I think I told you this already but I read Dani Noir a few weeks ago and thoroughly enjoyed it. Good luck with your next novel. Thank you so much, Mari! Thank you for reading Dani Noir! Thank you so much! It really was such a thrill that they chose my book for this trailer project. So cool! I don’t know if I’ll be going back to full-time work. It won’t be to that job for sure, since they’ve long since hired my replacement, but it could be to another job. Or I could move out of this city and live in a cheaper place. I don’t know what will happen yet… For now, I just write like crazy. I hope you get to do it soon, too. Hey, keep me posted?